Random, rambling thoughts on running and deep insights into the meaning of life. No, wait, just random, rambling thoughts on running....and maybe food....and probably beer at some point. 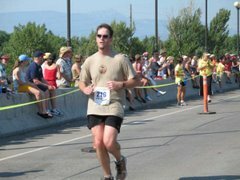 Having grown up in Montana and attending college at The University of Montana in Missoula, I was very excited when the Missoula Marathon was created 5 years ago. I was there for the inaugural running, stumbling through the heat in the midst of the hottest July in Missoula's recorded history, and swore I'd be back as long as I was able. So far, so good as I just finished my 5th Missoula Marathon this past weekend. 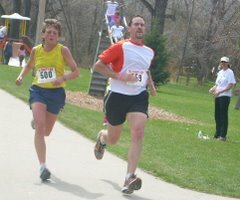 I've only run one other marathon multiple times (Deadwood-Mickelson, twice). It's no secret that Missoula is my favorite place in the world, and running is as good of an excuse as any to go back there at least once a year. However, the direction of my running has taken a turn since I ran that inaugural Missoula Marathon back in 2007. 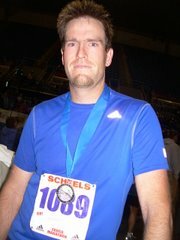 Back then, I was still relatively new to marathoning (I think the Missoula race was my 5th marathon) and I was striving to work toward a Boston qualifying time. I didn't try to BQ at the inaugural race....even if I had, the heat would've put the kaibash on that really quickly. 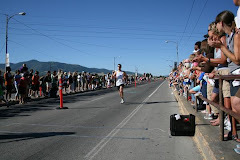 I would BQ at Missoula the following year, though, in perfect weather conditions (that first year has proven to be an anomaly, as each of the last 4 races have been run under almost perfectly cool conditions). After finally achieving a BQ in 2008 and then running Boston in 2009, I came to a crossroads in my running "career": pursue a sub-3:00 marathon (my PR, set at Missoula in 2008, is 3:09) or take the road less traveled (literally) and delve into ultramarathons. As many of you know, I chose the latter. I haven't specifically trained for a marathon since Boston and have only run Missoula and Deadwood-Mickelson as training runs since deciding to focus on ultras. As I've started accumulating 50K, 50 mile and 100 mile finishes, and subsequently running more and more miles on trails, my interest in road marathons has waned significantly. In fact, my interest had waned to the point that in the week leading up to Missoula this year, I wasn't entirely sure why I was even bothering anymore, other than the fact that I just so happened to be in western Montana for my sister-in-law's wedding, which was a few days before the race. But, during the race I was reminded of why I go back to Missoula every year....it's a great event in an awesome town and, despite being entirely on pavement, is still a good time. And, I gotta admit, after running two 50 milers in the past couple of months, it was nice to be able to stop after "only" 26.2 miles. Of course, training for an ultra in the mountains is very different than training for a basically flat road marathon. As such, I've been running an increasing number of miles on trails instead of roads, which subsequently works different muscles. Also, my pace has been necessarily slower...you just don't run as fast at the same effort level uphill on a narrow trail as you do on a road. Speedwork has been virtually non-existent because, well, what's the point? When you're goal is to cover 50 miles, you don't worry too much about how fast you can run 800m intervals. Sure, there's probably still some benefit to doing speedwork, but it's not as critical. 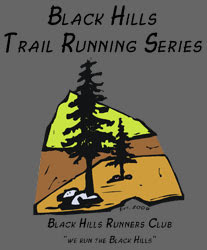 So, after training for the Collegiate Peaks and Bighorn 50 milers this spring/summer, I was very prepared to spend half a day on my feet in the mountains, but not all that prepared to run 26.2 miles at a decent clip. Of course, I know I can cover 26.2 miles now without much of a problem, but the question was how long would it take and how much would that much pavement pounding hurt? It didn't help that I spent the entire week before the race with my wife's family in the Bitterroot Valley south of Missoula. The Bitterroot has some pretty spectacular trails and I just couldn't resist the urge to do some exploring. I didn't run a ton of miles the week leading up to the race, but certainly more than I would've if I had actually been concentrating on the marathon. Given all that, my strategy for the race was basically identical to last year, when I used Missoula as a long training run leading up to the Lean Horse 100. My general goal was to run it in under 3:30 (besting my worst Missoula time of 3:32 at the inaugural race) without destroying myself and derailing my training. Last year, my cousin John and I tucked in with the 3:30 pace group for the first 10 miles or so and then made a break for it. John eventually dropped me at about mile 17 and ran strong to finish in 3:25. I faltered a bit over the last 9 miles and finished in 3:27. This year the plan was pretty much the same. John and I took off with the 3:30 group and, once again, dropped them at mile 10. We ran strong up and over the one hill just past the halfway point (that hill seems much smaller and less intimidating now that I've witnessed The Wall on the Bighorn course). This year, I was feeling a bit stronger and was able to keep up with John until about mile 21, when he slowly but surely started to put a gap between us. Up until that point, we had been running fairly consistent 7:45-7:50 miles, but my pace started to falter toward the 8:00 range and then further toward 8:20. That gap closed a couple of times when he stopped for water at an aid station and I ran through (the aid stations are only a mile or so apart in the last 10K and I didn't feel the need to stop at EVERY one). With about 3 miles to go, I caught a bit of a 2nd wind and started to push the pace a bit. John was still running pretty strong, but with a couple of miles to go I was within a block of him and thought I still had a chance of catching back up. That never happened though as he turned on the jets and my 2nd wind abandoned me. I still ran the last couple of miles fairly well, but just didn't have a lot of extra to give until the last 2/10ths across the Higgins St. bridge to the finish. John ended up running an almost identical time to last year (3 seconds slower) and I finished about 50 seconds faster than last year in 3:26:21 (and felt stronger overall in the process). 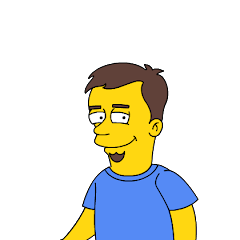 So, all in all, a somewhat surprisingly "easy" moderate effort. The pavement didn't take too much of a toll...I'm sore but not any more than would be expected. Fairly safe to say I'll be back in Missoula next year for #6 (and probably also safe to say that I probably won't run another road marathon before then). 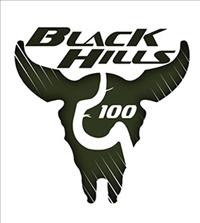 Up next, seriously eyeing the Elkhorn 50K near Helena, MT the first weekend of August. John ran it last year and is running it again this year. I'd like to get in one more long race this summer, but I'm not really feeling up to another 50 miler, so 50K sounds really appealing. The timing of Elkhorn is pretty good since it's before my son's football practice starts (I'm one of his coaches this year). And, I've heard good things about the race, so I'd like to check it out. All I need to do is take the plunge and actually register before it fills up. Your hair would look like that too after running 26.2 miles in a 20 mph breeze.